Located at the gateway to the Ecrins National Park, this cottage enjoys a privileged location. Fully renovated and fully equipped in a rare and preserved environment. With a surface of 100 m2 on 3 levels, it is composed of 4 bedrooms including 2 attic rooms, bathroom, separate wc, a fitted open kitchen (dishwasher, microwave oven, washing machine, ...) , dining area, large living room around the pellet stove, TV with numerous bay windows opening on the balcony to the east and the terrace to the south. 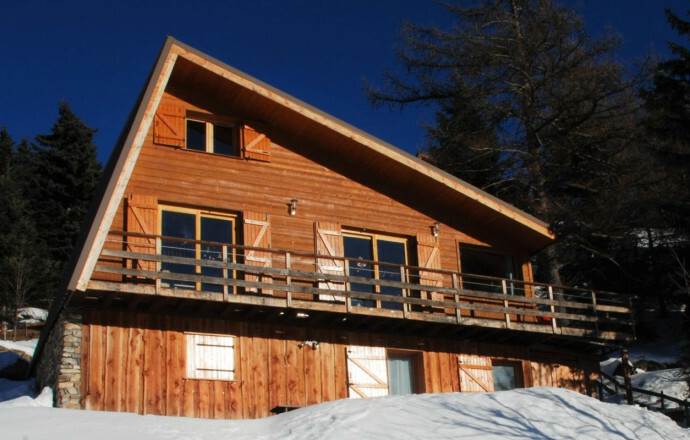 The chalet is located on a ground floral and sported by 800m2. 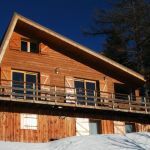 This chalet with neat services and quality materials benefits from a panoramic view of the valley and the surrounding mountains. Wood pellets included in the price, heating costs extra. Merlette ski resort is situated above the village of Orcières in Hautes-Alpes. The resort has a superb ski area, its southern orientation assuring sun, and it's a pleasure to ski all day in the knowledge that you can ski all the way back to the resort. For adrenaline seekers there are opportunities to go off-piste as well as the snow park. And after a day of skiing, why not take advantage of the magnificent sports centre with its covered swimming pool. Altitude from 1850 to 2725 m, 44 pistes covering 85 km, (6 black, 18 red, 11 blue, 9 green), 28 lifts. Ski school. Snow garden. Snowshoeing, dog-sleds, ski touring. Ice rink. Snow park. Telemark. Cross-country area 2 km away, meeting place and ski equipment rental. Paragliding. Tenpin bowling, cinema, discotheque. Merci beaucoup pour votre avis. 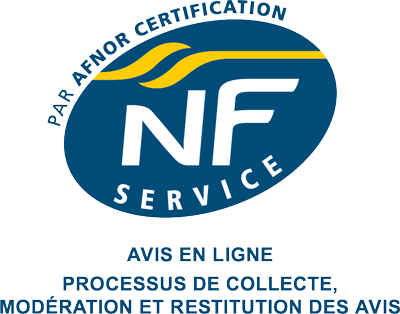 Vraiment très heureux que votre séjour ce soit à nouveau très bien passé. Au plaisir de vous accueillir une nouvelle fois. Sarah et Christophe Maire.